I upgraded my urban garden this year with some self watering tomato planters. It’s been almost a month since I’ve been using these things and I figured an update was in order. While the directions for the planters say to only put one tomato plant per vessel I, of course put three in one and two plus a basil plant in another. 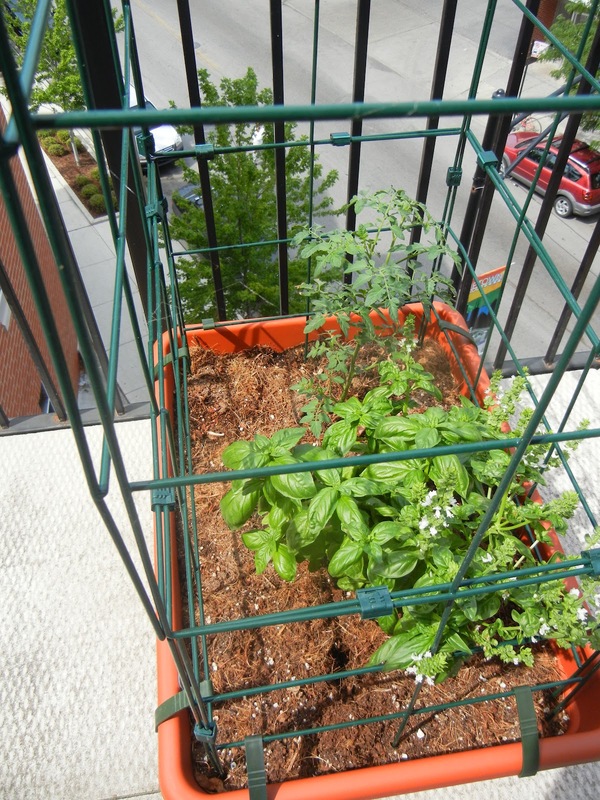 First off, the two plus basil planter isn’t doing all that hot. One of the tomato plants died (I think the basil plant hid it from the sun), the other is a bit anemic, but the basil plant is doing AMAZINGLY. The planter with three tomatoes is doing pretty well. One tomato is thriving and the other two are doing pretty well too. All are starting to flower, but none have any fruit yet. The soil remains well watered — but not too moist. It has been blazing hot in Chicago for well over a week now (and by BLAZING hot, I mean highs from 95-100 each day — and today it is supposed to be 105 and the heat index is 115). These self-watering containers really make it easy to keep things alive when living in the blast furnace. One issue I have with these planters is the number of flies it attracts. I am shocked at the swarm that flies away when I begin to water. Since the basil really took off, I harvested a full food processor bowl full of basil yesterday. I decided to preserve the basil by making homemade pesto. Do you need a recipe for pesto? 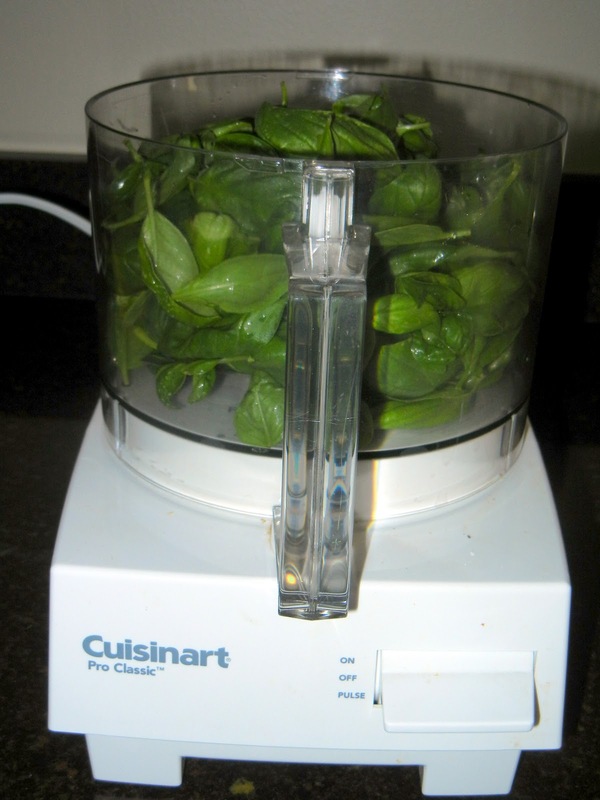 Fill the bowl of a food processor with basil, pour in a couple tablespoons of very good olive oil and pulse. Add some pine nuts, salt and pepper to taste. Pulse again. Add more oil if necessary while pulsing until the pesto is a fine paste — add good parmigiano reggiano cheese and pulse to combine. Serve over pasta (with sun dried tomatoes) for a great summer dinner. Also try putting pesto under the skin of a chicken breast and roast until the juices run clear. 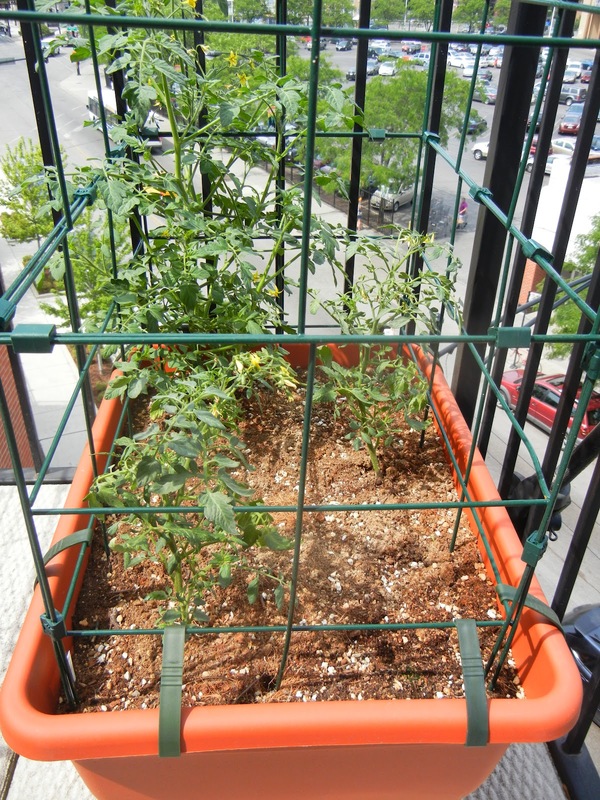 How are your (urban) gardens doing? What have your harvested so far? How are your herbs doing? How do you use your fresh basil? How do you preserve it (dry, freeze, pesto — pesto is now a verb)? By Tim in Home on July 5, 2012 .